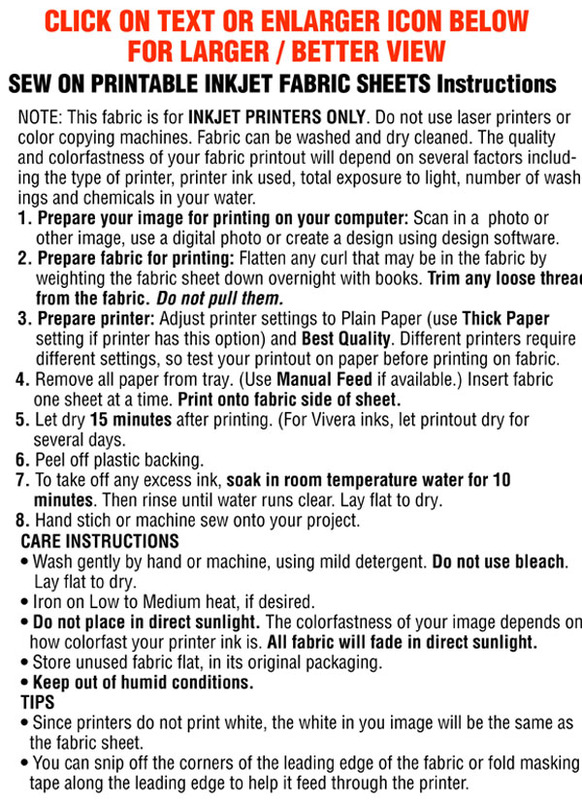 SEW ON and STICK ON Printable Fabric Sheets for Inkjet Printers. Print photo-quality images from your Inkjet printer onto soft, 100% cotton fabric. Choose from 3 different SEW ON cotton fabrics and 1 SELF STICK cotton fabric. 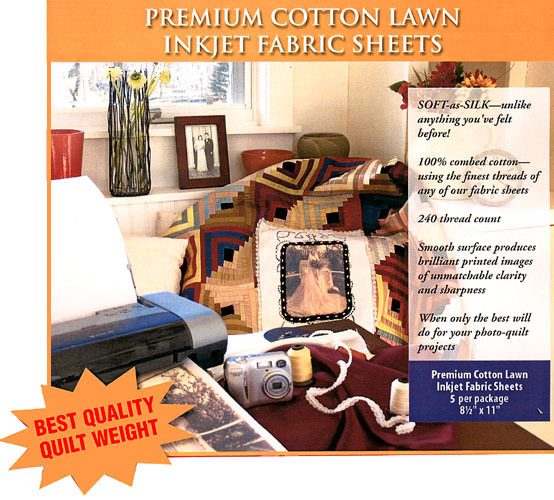 Print photo quality images from your PC .Sew on quilts, pillows, scrapbooks, purses, clothing & more.CAN Be Washed or Dry Cleaned. Premium white cotton lawn w/240 thread count is soft as silk. 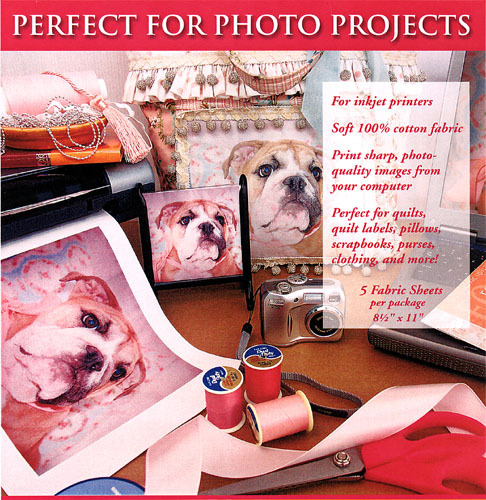 When only the best will do for your photo quilt projects. Premium fine combed cotton satin-weave w/283 thread count. Best for projects that need fabric with more body than quilt-wt. CAN Be Washed or Dry Cleaned. using "A, B & C"